Iran executes nuclear scientist convicted of handing over "confidential and vital" information to the United States. 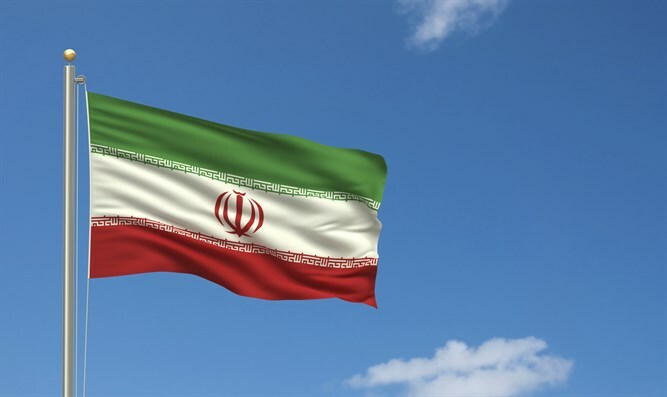 Iran has executed a nuclear scientist convicted of handing over "confidential and vital" information to the United States, a judicial spokesman said on Sunday, according to the AFP news agency. "Shahram Amiri was hanged for revealing the country's top secrets to the enemy," the spokesman, Gholamhossein Mohseni Ejeie, was quoted as having told reporters in Tehran. Amiri, 39, disappeared in Saudi Arabia in June 2009 and resurfaced a year later in the United States. Conflicting accounts said he had either been abducted or had defected at a time when international tensions over Iran's nuclear program were at their peak. In a surprise move, Amiri then returned to Tehran in July 2010, saying he had been kidnapped at gunpoint by two Farsi-speaking CIA agents in the Saudi city of Medina. He was initially greeted as a hero, telling reporters as he stepped off the plane at Tehran airport that he had resisted pressure from his American captors to pretend he was a defector. He denied he was a nuclear scientist and said U.S. officials wanted him to tell the media he had "defected on his own and was carrying important documents and a laptop which contained classified secrets of Iran's military nuclear program", according to AFP. However, it was soon clear that Iranian authorities had not accepted this version of events and Amiri dropped out of public view. His arrest was never officially reported. Iran's judicial spokesman said Sunday that its intelligence services had "outsmarted" the U.S..
"American intelligence services thought Iran has no knowledge of his transfer to Saudi Arabia and what he was doing but we knew all of it and were monitoring," Ejeie was quoted as having told reporters. "This person, having access to confidential and highly confidential information of the regime, had established a connection to our number one enemy, America, and had provided the enemy with Iran's confidential and vital information," he added. The State Department in Washington declined to comment on the case when asked on Sunday. AFP noted that numerous media reports in recent years have supported the idea that Amiri was a defector with highly prized information on Iran's nuclear program. In a confusing series of events shortly before his repatriation to Tehran, three separate videos emerged appearing to show Amiri claiming either that he was abducted by U.S. agents, had come freely to study, or that his life was in danger and he wanted to return to Iran. At the time, world powers had grown increasingly concerned that Iran was pursuing a nuclear weapon -- a charge that it has consistently denied. Between 2010 and 2012, four nuclear scientists were assassinated inside Iran and a fifth survived a bomb attack. The government in Iran has blamed the attacks on U.S. and Israeli intelligence services. Iran has in the past executed people it claimed to be “spies” for both Israel and the U.S. In June of 2012, Iran claimed to have dismantled a terrorist and sabotage network in the southern city of Shiraz, which allegedly planned bombings and assassination attempts during Iran’s presidential election. The network had links with the CIA, Israel and some neighboring Arab nations, Iran claimed. A month earlier, Iran hanged two convicted spies, one accused and found guilty of working for Israel, the other for the United States. In a previous incident, Iran executed Majid Jamali Fashi after convicting him of spying for the Mossad and of playing a key role in the January 2010 assassination of a top nuclear scientist in return for payment of $120,000.